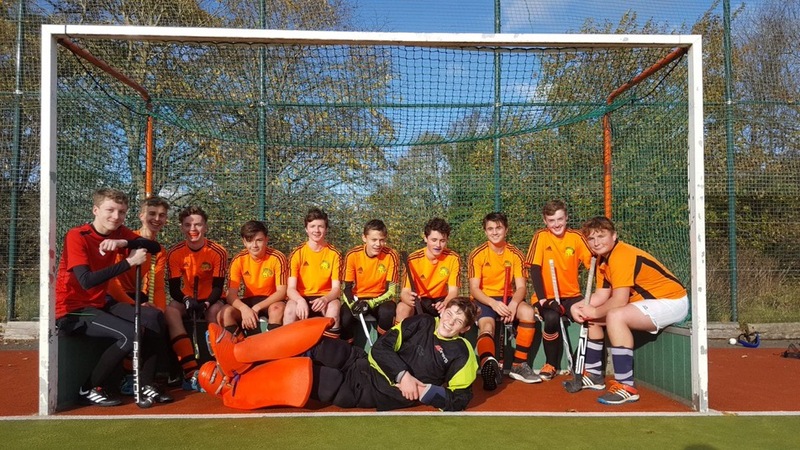 “Tangerine Dream” (ask your dad/granddad)…..pictured left to right: Theo, Ben W, Finlay, Patrick(c), Simon, Adam, Ben C, Paddy, Max, Tom, …. and Sholto. A huge well done to our boys’ u16 team, who finished third in their group of the Yorkshire round of the English HA cup. It’s the first time (in years?) Adel has had an u16 team competing at this level, and a good measure of the club’s overall development. Despite missing the regular centre forward, and with other players unavailable, the 11 boys who played did themselves proud. In the first game Adel looked every bit as good as a strong Sheffield side, kept things tight until the last couple of minutes, and had a few shots on goal, but then conceded right at the death. A draw or even a sneaky win might have been fairer, but players and parents alike were pleasantly surprised to find we could hold our own. Strong performances all round, but Tom gets MoM for keeping calm in the thick of the action and making some vital tackles, as he did all day. Next up were Thirsk, who have beaten us in the past, but today the orange army always looked the better side, even after going a goal down. Paddy kept battering the defence and eventually got his reward, and then shortly after Patrick finished off a neat passing move to make it 2-1. At the heart of it all was our man of the match Simon, driving the attack, intercepting everything in midfield and organising the defence. The final game was always going to be painful, against a Harrogate side who were by some distance the best team at the tournament, including the likes of Wakefield and City of York. After holding back the blue wave for a good 15 mins, the pressure finally told and as our legs tired Harrogate scored a succession of well-executed short corners, and some opportunistic finishes, to run up a 7-0 lead. It is a massive credit to the lads that they never stopped fighting, heads never went down, and with the last hit of the day Paddy scored a consolation goal to give the team something to smile about. Theo gets man of the match for his relentless tackling and tracking back. A win and two defeats wasn’t quite enough to get us through to the regional finals, but overall a great performance from a team that gets better every time they play. Big “thank you” to all the parents who cheered on the boys from start to finish, and a massive thanks to Mark Powley who gave up his Sunday to be our qualified umpire.